Welcome back to another edition of the Team Santa Inc. Weekly e-News hot off the presses. ‎Next. “Baby it’s cold outside”, and that’s a reality. Southern US states are cold as well. Not as cold as the north. Team Santa Inc. is getting ready for springtime decorating with wonderfully new LED lighted indoor/outdoor decorations. From Saint Patrick’s Day‎ on March 17th, until Easter Sunday on April 21st, these are two excellent reasons to enjoy the holiday with these exciting new LED lighted decorations. Before you know it, you’ll be drinking green beer and eating a corn beef sandwich. So chin up, the “the future is so bright that you have to wear shades”. Visit ChristmasDecorationsETC.com and use coupon code CLOVERduring the checkout process this week only to save 10% off these darling and whimsical lighted Saint Patrick’s Day and/or Easter decorations. This 10% coupon code will expire automatically on Monday March 11, 2019. Go ahead and order your springtime LED lighted holiday decorations in time to take advantage of the ten percent discount coupon code. Spend $75 and get free shipping anywhere inside the continental U.S.A. Important Information – Please make sure to addcomm@christmastopia.com to your list of contacts to make certain that you are getting our WEEKLY E-NEWS delivered to by email once a week right. Click here to add or update an email address of anyone who may want to receive weekly email updates about decorating for the seasons, all year round. Most orders ship in 24 hours or less. Offers only good while supplies last. Until next week…. ‎We’re back for another week of wonderful new product offerings and savings at Team Santa Inc. YOWL, the hottest new winter gloves in the industry are absolutely wonderful. YOOWL Touchscreen Anti-Slip Gloves are perfect for people who want to use their smart phone while keeping their hands toasty warm at the same time. The Anti-Slip design allows for touch screen smartphone operation.Text, surf the web, Facebook, Twitter, Instagram, Pinterest, YOOWL Touchscreen Anti-Slip Gloves will help you get the job done while making sure that your hands stay warm. Make sure you are getting the TEAM SANTA INC. WEEKLY, delivered by email once a week right to your inbox. To make sure that you are properly set up, just add comm@christmastopia.com to your address book to prevent Team Santa Inc. email messages from ending up in your spam folder. That is all you have to do. Click here to add an email address to receive weekly updates about holiday decorating all year round. We hope to see you soon, we want to save you some serious cash. Until next time…. 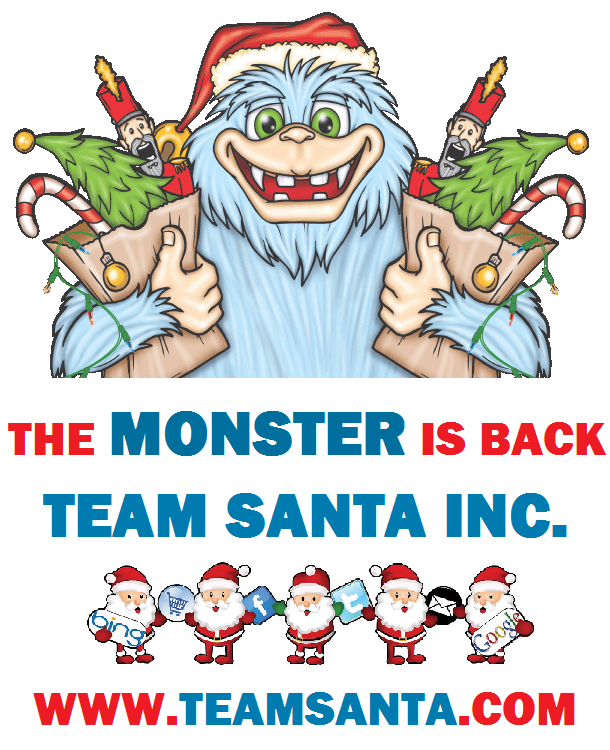 Welcome back to our second edition of the Team Santa Inc. Weekly for 2019‎. Today’s post is all about the low low prices you can get if you order holiday string lights and decorations by tomorrow. Super low pricing on thousands of holiday decorations. Phenomenal deals are being made every day on all our lighting and decorative items. Have you ever haggled online? You make the offer of what you are willing to pay. It’s a total blast! Have fun and save money at the same time. Our product selection has literally thousands of holiday decorations and lighting products. The Monster Clearance Sale will end tomorrow. 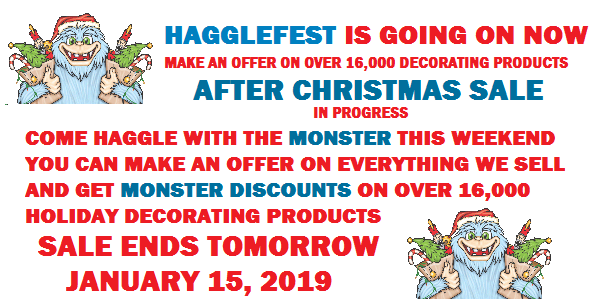 Hagglefest is done too. If you have any last minute offers that you would like to make, then we would be honored to listened to them. Go ahead and send your offer to support@teamsanta.com. Don’t forget to include the product number, product name and the amount you are willing to pay. Always include the shipping cost as part of your offer to haggle. ‎ Team Santa Inc. will make a deal with you. Just visit one of their websites and send in a haggle request. We want to thank all our customers for all the wonderful support. We wish everyone out there a happy, healthy and prosperous new year. Until next time….